The first product developed by Tazla Energy is a pulsed power cooling device which creates high voltage effects normally caused by lightning discharges. The process patented by Tazla Energy produces a powerful cooling effect whilst consuming very little electricity. This process does not use a refrigerant gas hence there is no need to “dump” the heat. The device just cools the area in which it is operating. Effective in spaces up to 100 cubic metres. No ozone depleting gases used. 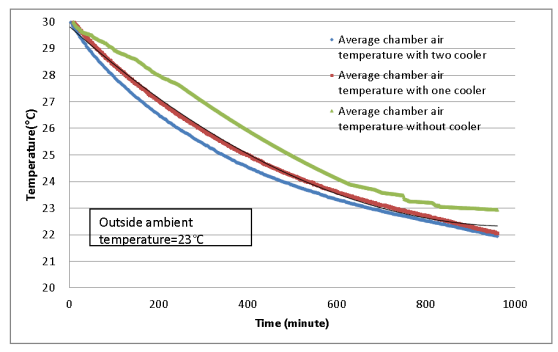 BeCoola technology has been independently tested by the University of Nottingham for its effectiveness in cooling. For the full test report Click here. Electromagnetic compatibility (EMC) is the branch of electrical sciences which studies the unintentional generation, propagation and reception of electromagnetic energy with reference to the unwanted effects (Electromagnetic interference, or EMI) that such energy may induce. EMC aims to ensure that equipment items or systems will not interfere with or prevent each other's correct operation through spurious emission and absorption of EMI. 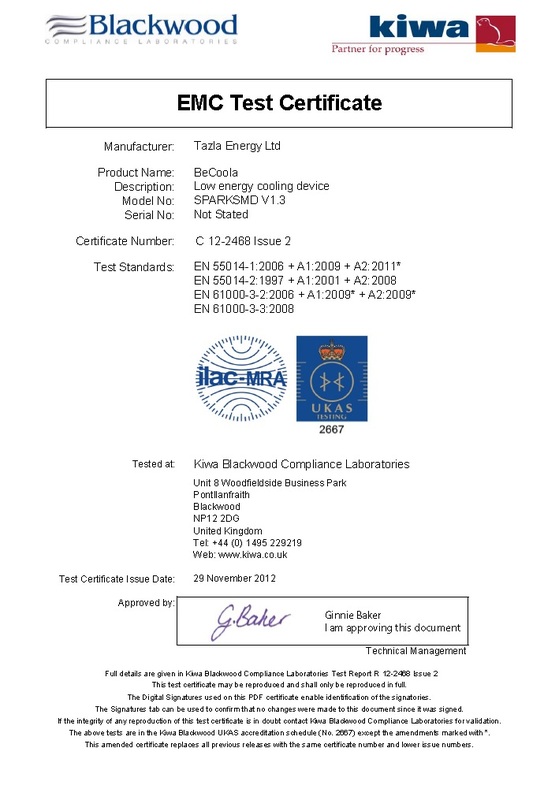 BecCoola has been independently EMC tested by Blackwood Compliance Laboratories (Click here for pdf). For the full EMC test report Click here.